Pruning suckers - (go ahead... have a giggle... yes, it's a funny name :) Now - if you're not sure what they are, I'll show you in a minute. I receive many questions along the lines of: Hi Eyal, what should I do with the small unrecognizable growth I see on my tree? Should I prune it?" Well, I think it's time to prune the mystery away. Let me start by saying: they are called suckers, and it's very common have them grow on the trunk of your fruit tree. There's no one to blame and nothing you can do, it's just the way it is. Suckers are branches that grow on the lower part of your fruit tree, around 10 inches above the ground. 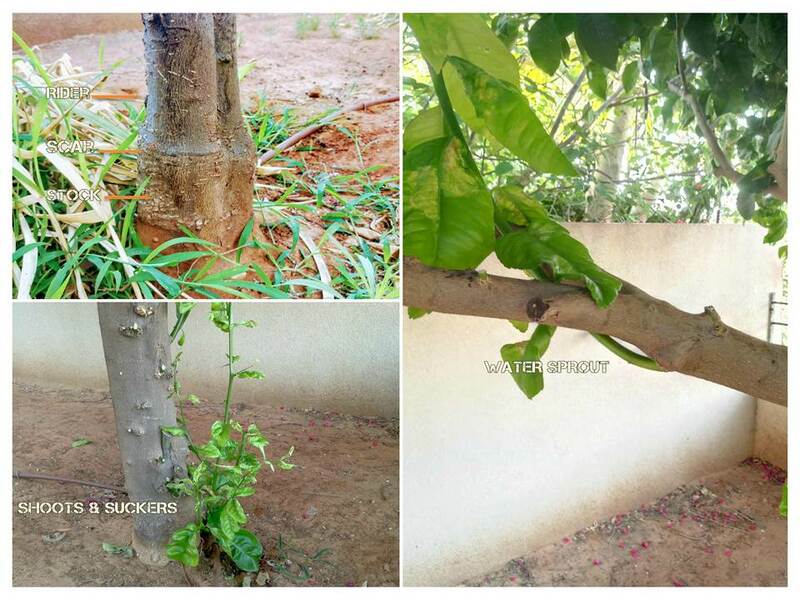 It is most likely that you'll come across suckers only on grafted fruit trees (Grafting - a process that binds two species. A strong species known as "Stock" and a fruity species known as "Rider"). BTW, most fruit trees are grafted - about 80% of deciduous, subtropical and citrus trees. It's simple really - We just don't want the stock to produce and grow branches and fruits. Fruit that came from "stock" taste bad (if they turn into fruits at all) and most importantly, suckers can increase tree atrophy - and we don't want that. How will you know if your fruit tree was grafted? look for the scar that connects the "stock" and the "rider" (see the picture above). In older trees, or trees with a rough textured trunk the scar is unclear and hard to recognize, but it's there. 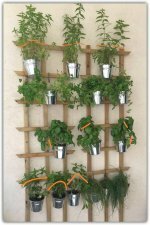 Are there any special instructions for pruning and removing the shoots and suckers? If the cut is wider than a thumb, use a pruning sealer to avoid fungus etc.. If you haven't used a sealer, just keep an eye on it. I do recommend pruning as close as you can to the mother stem. Same goes for water-sprouts - or "water" shoots. In most cases, these are branches that grow straight up above the grafting area, very often off another branch. These should definitely be removed as they grow really fast and take energy from the tree. They can even block sunlight from the tree's center, which is really important for the tree's health. Just cut it as close as you can to the main stem. These kind of branches develop when you hard prune after a long time of no pruning, or when the weather is too hot.